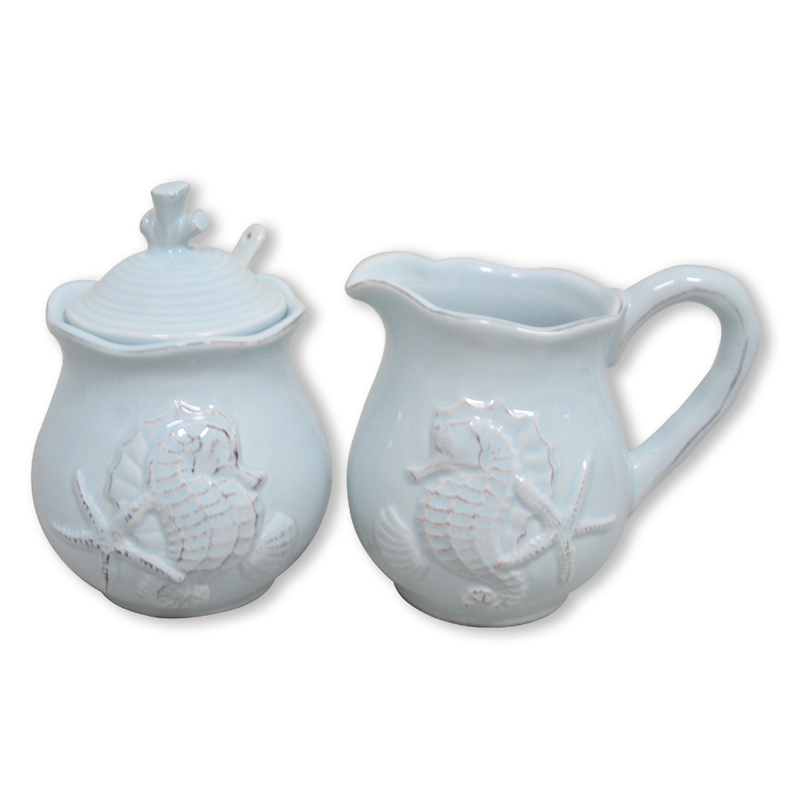 Give your dining room a coastal update with the Blue Seahorse Sugar & Creamer Set. Crafted with an elegant raised pale blue seahorse and starfish design, this sugar and creamer set makes a beautiful accent. This coastal kitchen decor ships from the manufacturer. Allow 2 weeks. Cannot express ship. For more options, we invite you to spend some time to peruse our extensive assortment of coastal kitcen decor at Bella Coastal Decor now.